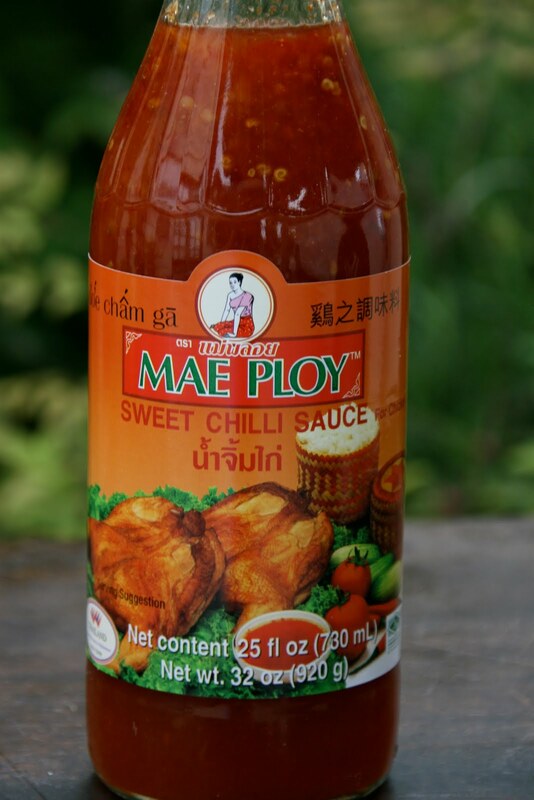 Mae Ploy is a Thai dipping sauce that is used in a lot of Thai cooking. It is both sweet and spicy, with a slight garlic taste. While it has a little spice, it is very mild. Most grocery stores carry it on their Asian specialty aisle.